When DJ Esco announced his new album Kolorblind a few days ago, it was expected that the project will have a lot of contribution from his artist Future. The first two singles, ‘Code of Honor‘ and ‘Walk Thru‘ both had Future on them with additional appearances from ScHoolboy Q and Nas. 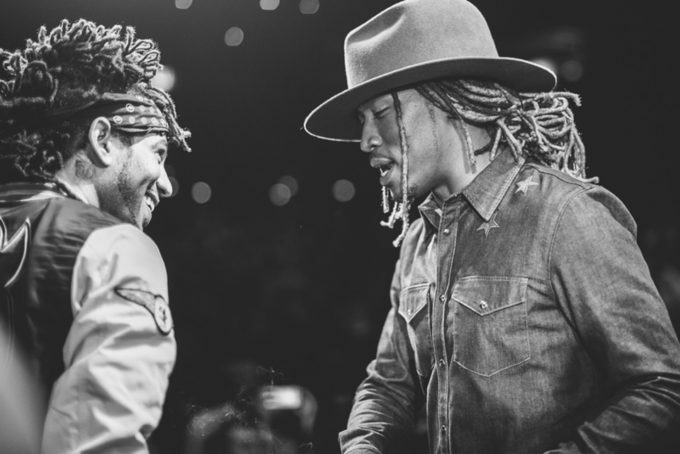 But turns out, Future is actually featured on each song off the 11 song album. The concept is similar to their 2016 joint project E.T. Kolorblind also has guest appearances from folks like Ty Dolla Sign, DeJ Loaf, Young Thug, A Boogie, O.T. Genasis, Rich The Kid and more. Yup, it is stacked for sure. Stream it below via Apple Music or Spotify.